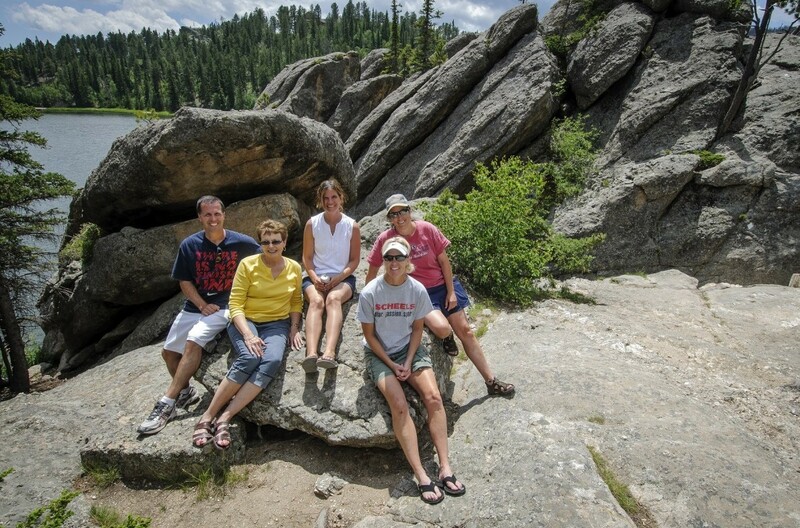 Stay at Sylvan Lake Lodge and see Custer State Park's crown jewel for yourself. 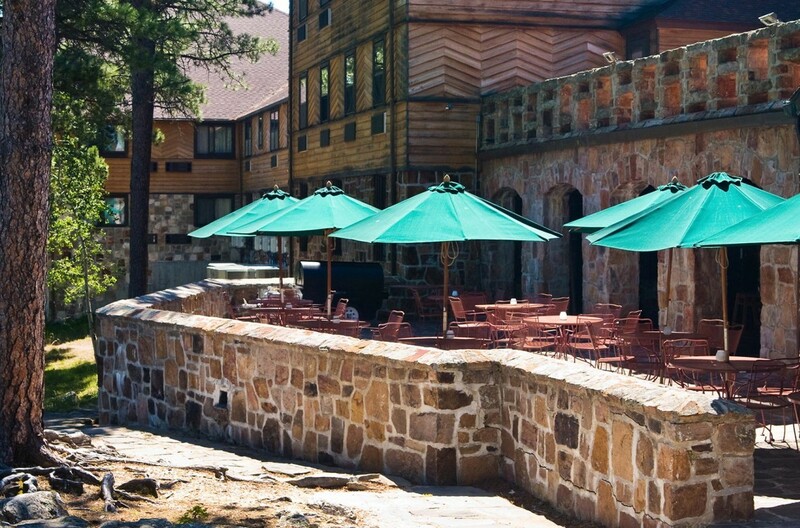 Rich in history and natural beauty, the lodge is situated in a spot suggested by architect Frank Lloyd Wright—within a hillside forest of pine and spruce trees, in harmony with the beauty of the rugged landscape. 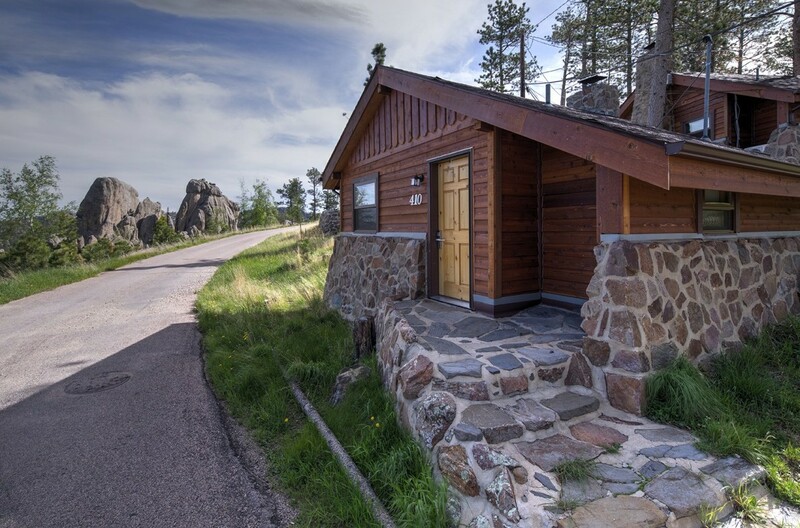 This stone and timber lodge overlooks the sloping hills and the breathtaking beauty of Sylvan Lake. 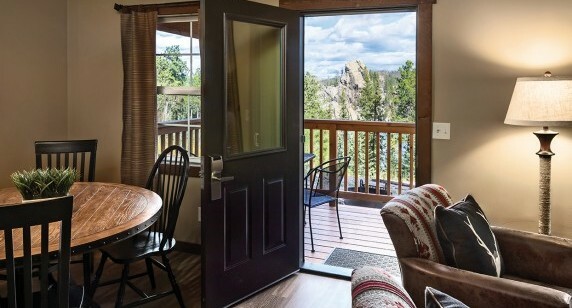 The original Sylvan Lake Hotel was a stopping point for adventurers hoping to scale Black Elk Peak, the highest point in America east of the Rockies. 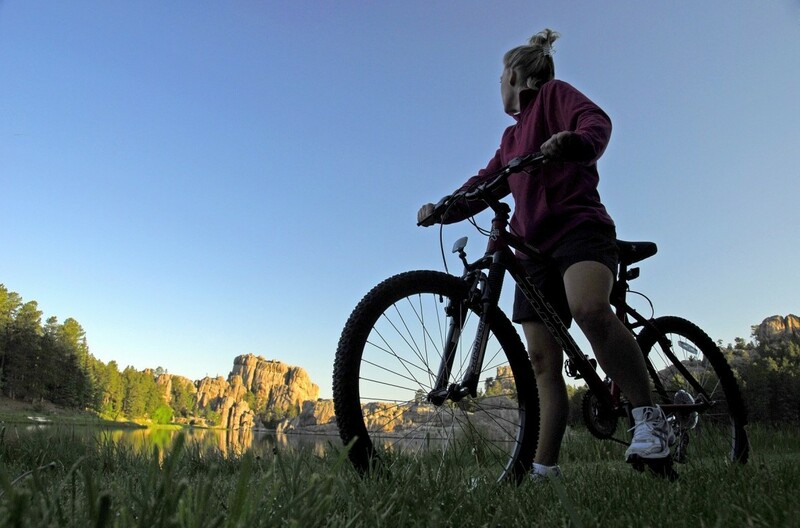 Some of the finest trails lead from Sylvan Lake to the peak, including the challenging Harney Peak Trail and the more moderate Sunday Gulch Trail. 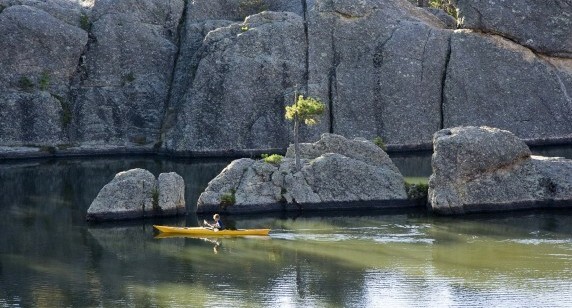 Rent watercrafts, go fishing, or take a swim at picturesque Sylvan Lake. 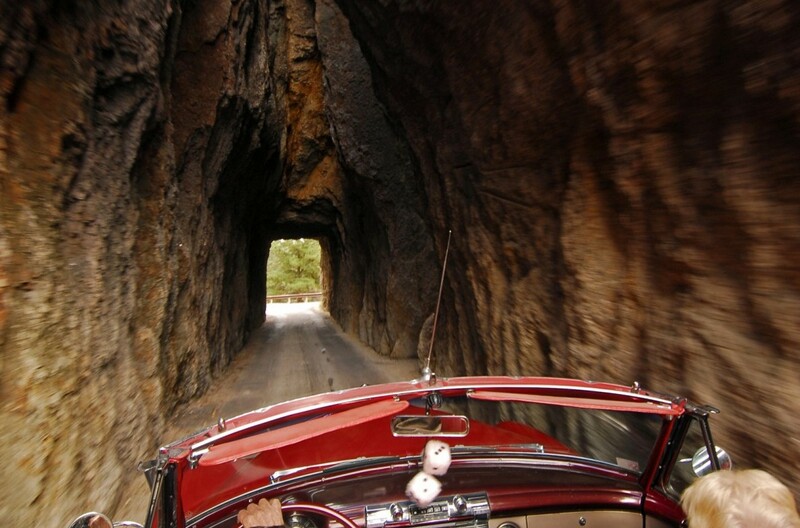 It also serves as a stunning backdrop for wedding receptions and other festive events. The lakeside lawn truly has no equal. 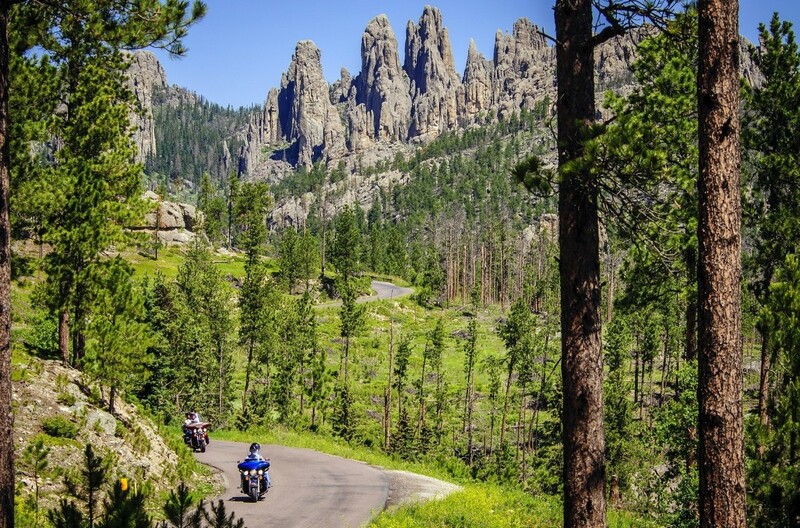 Sylvan Lake is located along Needles Highway, Highway 87, just southwest of Black Elk Peak (formerly known as Harney Peak). 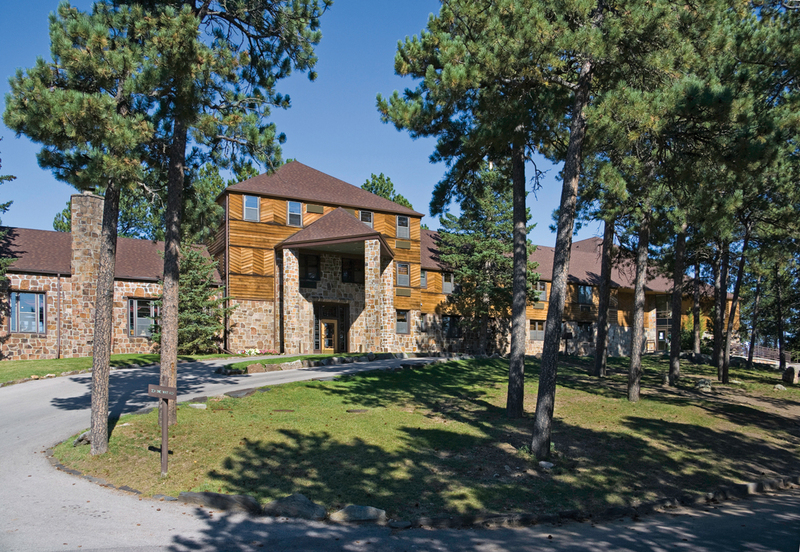 Sylvan Lake Lodge was built in 1937, with a new wing of lodge rooms added in 1991. 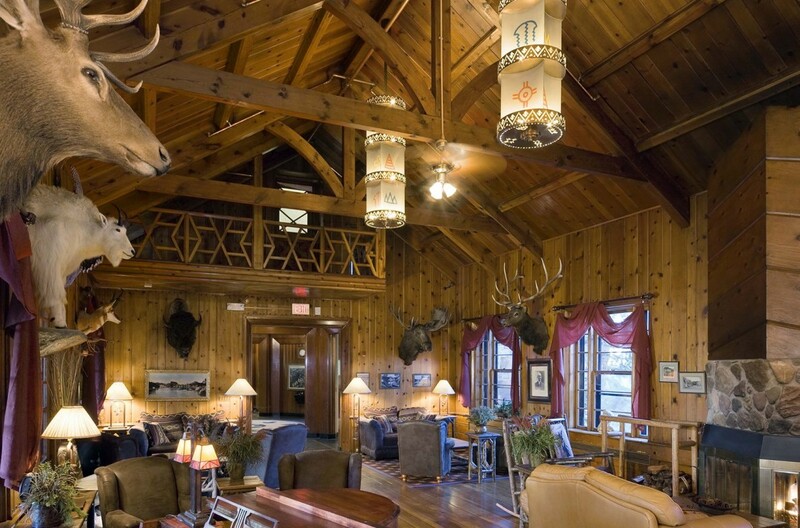 31 cabins are placed throughout the pine- and spruce-covered hillside. 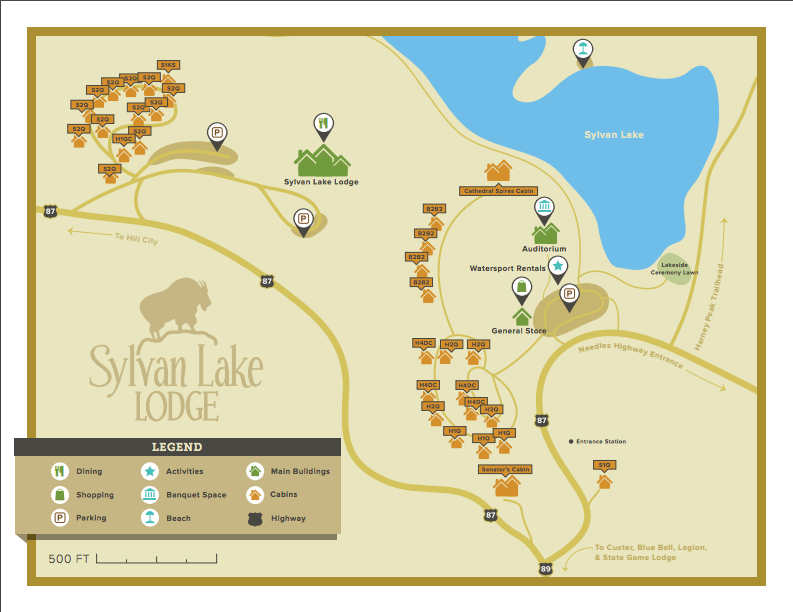 Enjoy meals made from fesh, locally-sourced ingredients while surrounded by natural beauty at Sylvan Lake Lodge. 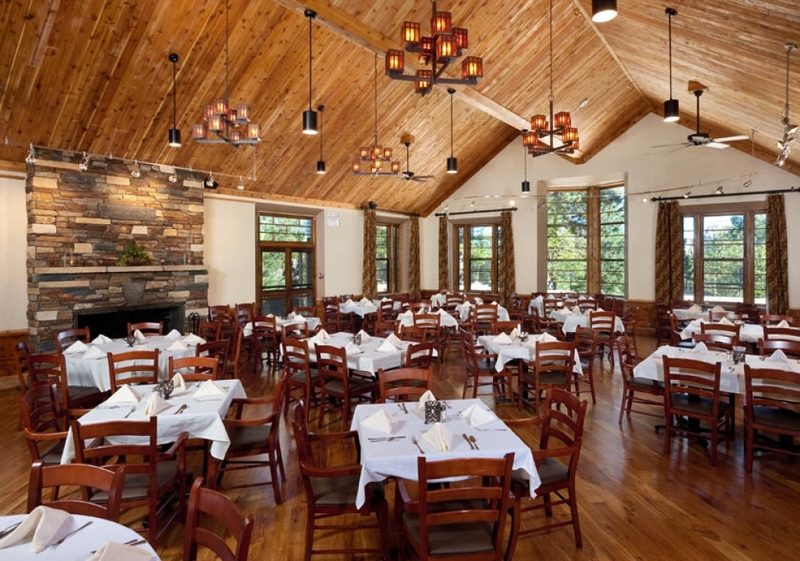 Experience the natural beauty of our remodeled indoor banquet space, or reserve our private patio or lodge meeting room for small gatherings. 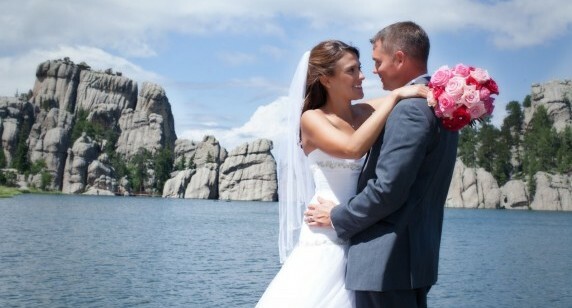 Awe-inspiring views of Sylvan Lake, the Black Hills Forest, and towering granite spires serve as the perfect backdrop. 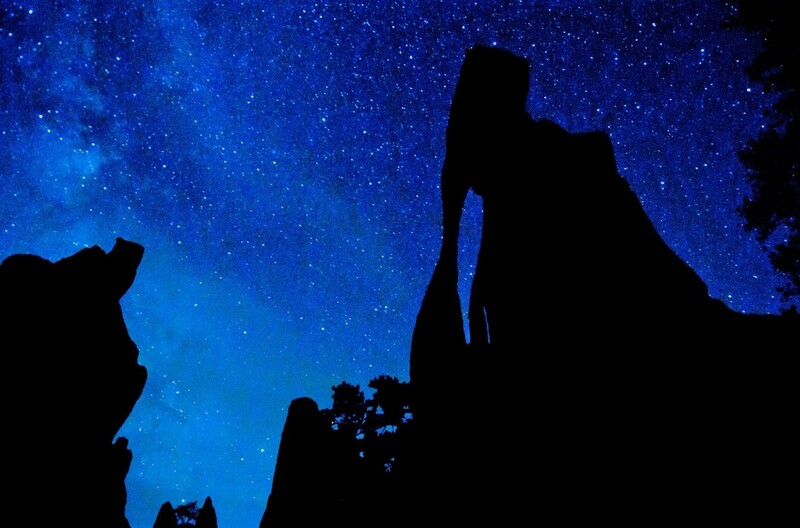 Ready to take in nature’s sites? 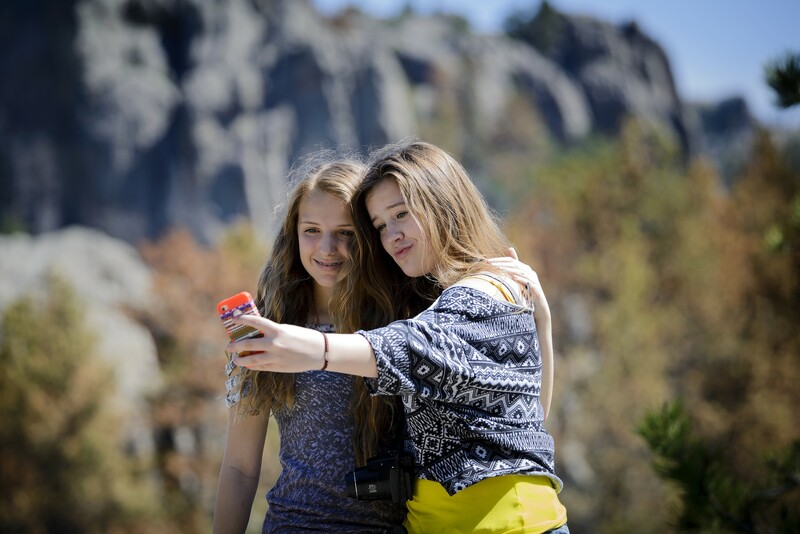 Check availability now. 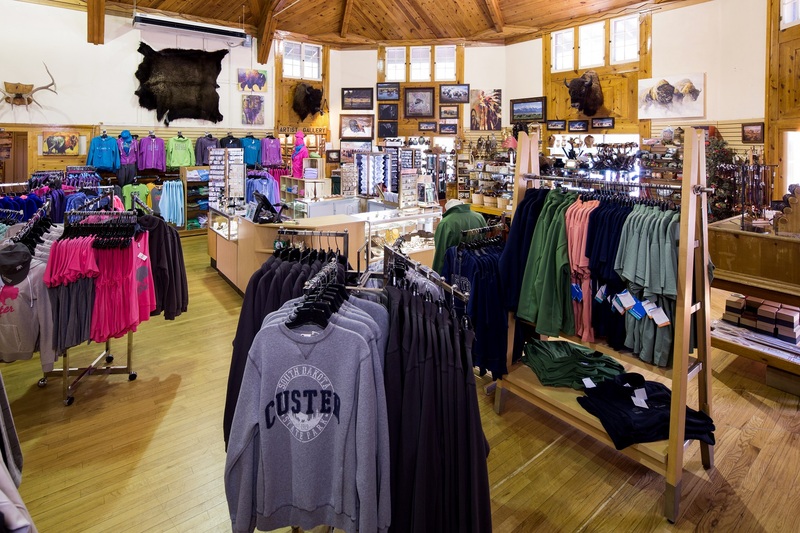 Visiting without plans this Spring? 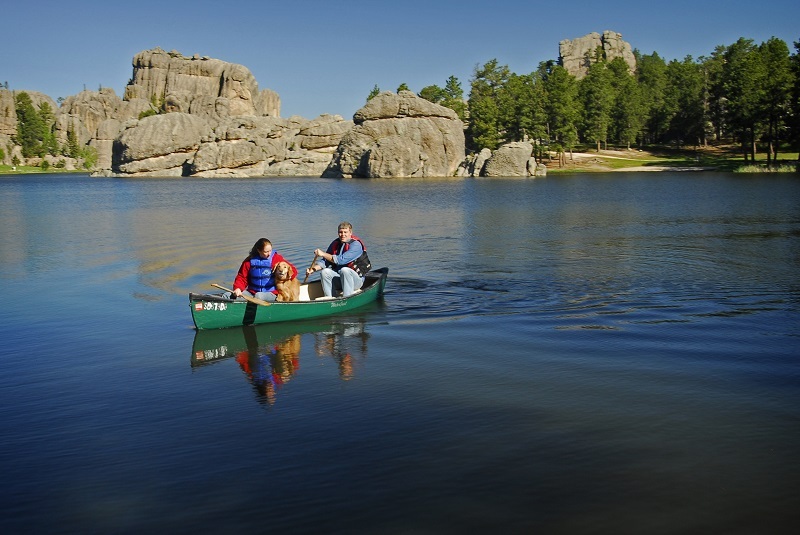 Choose a package that includes unlimited canoe/kayak rental as a part of your stay. 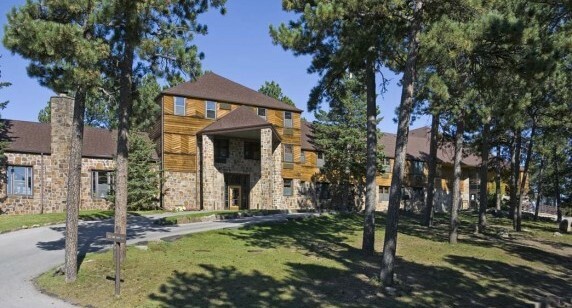 The rustic exterior of the Sylvan Lake Lodge. 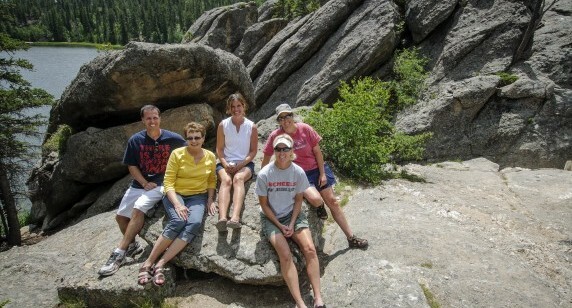 Cabins at Sylvan Lake offer tremendous views of the spires. 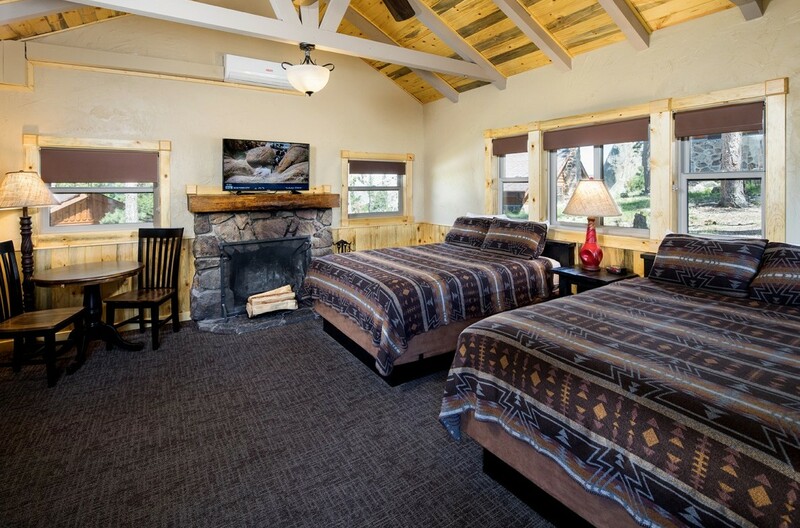 Large group cabins for your whole family. Relax on the balcony looking out into the woods. 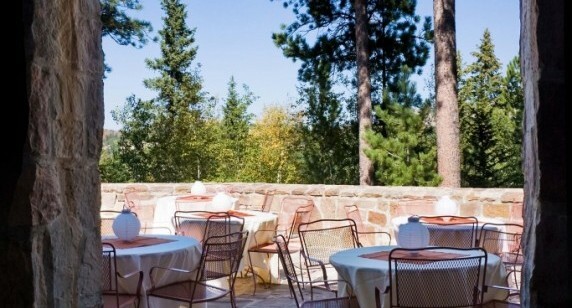 Sylvan Lake offers fresh, locally-sourced dining. 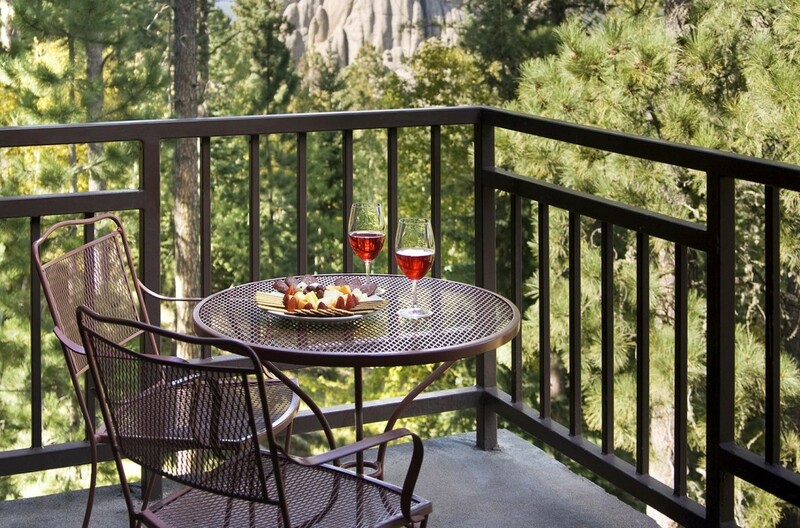 Dine al fresco on the Sylvan Lake Veranda. 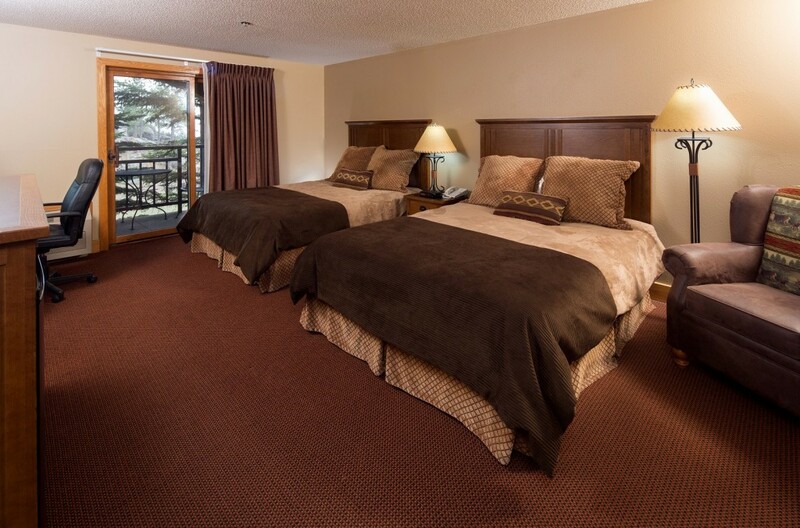 Comfortable lodge rooms offer balconies with forest views. 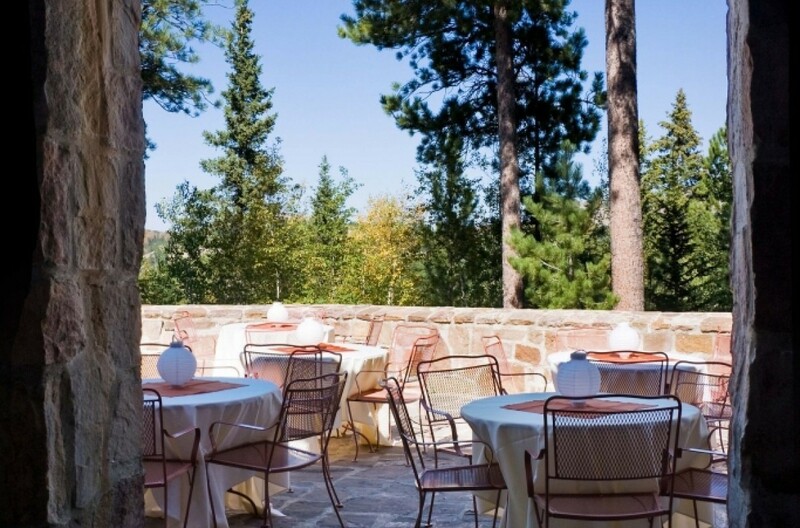 Enjoy a meal on the Sylvan Lake Lodge veranda. 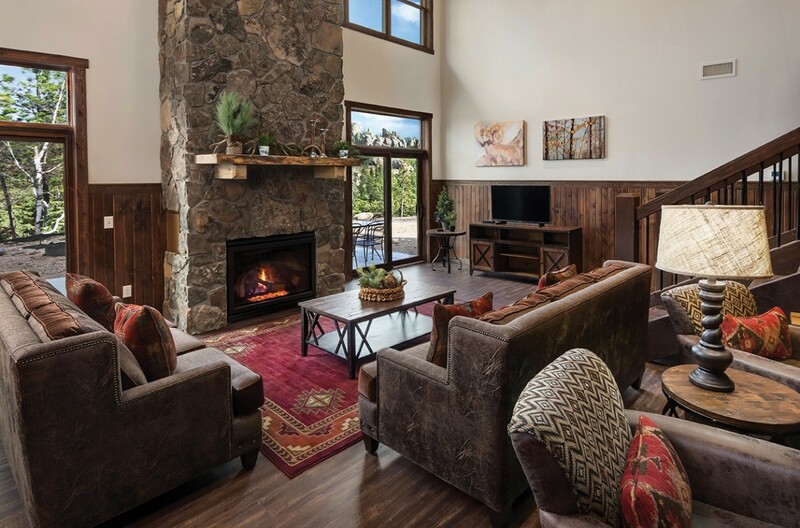 Spacious cabin interiors with stone fireplaces.